PixelSkin HD Wrap iPad 2 Case by Speck is a slim-fitting protective case with a smart cover. The from cover folds into a viewing and typing stand. The cover stays closed with micro-suction. 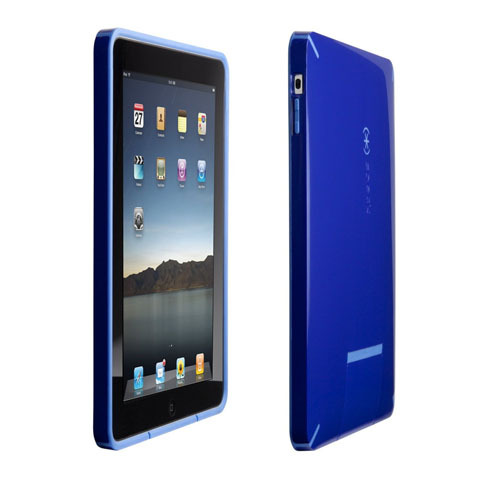 This stylish iPad 2 case comes in a glossy-matte finish in Blue, Black and Raspberry. SeeThru MacBook Covers Pro 13″ Hard Shell by Speck adds s splash of color to your MacBook Pro while protecting it from scratches. 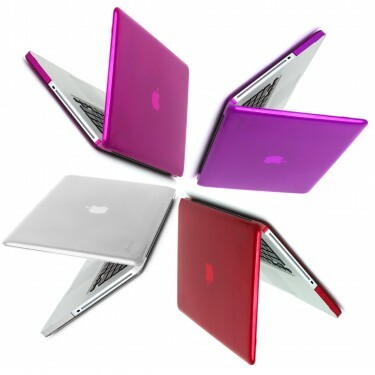 The MacBook Covers are custom-fit for the MacBook Pro 13″ and is designed to open and close all the way. It is vented for safe heat disbursement. The SeeThru MacBook Pro 13″ Hard Shell Case is available at a discounted price of $37.49 at Amazon.com (original price $ 49.95). CandyShell Grip iPod Touch 4 Case by Speck is made specifically for gaming. The ridged rubbery finger pads on the back offer steady grip for games or just on the dashboard. 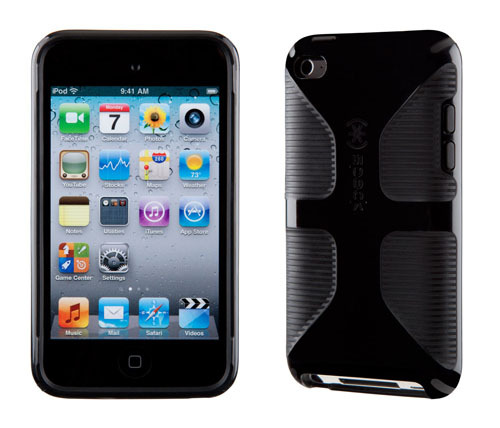 The iPod Touch 4 case comes in DarkLord Black and MoonSicle White. 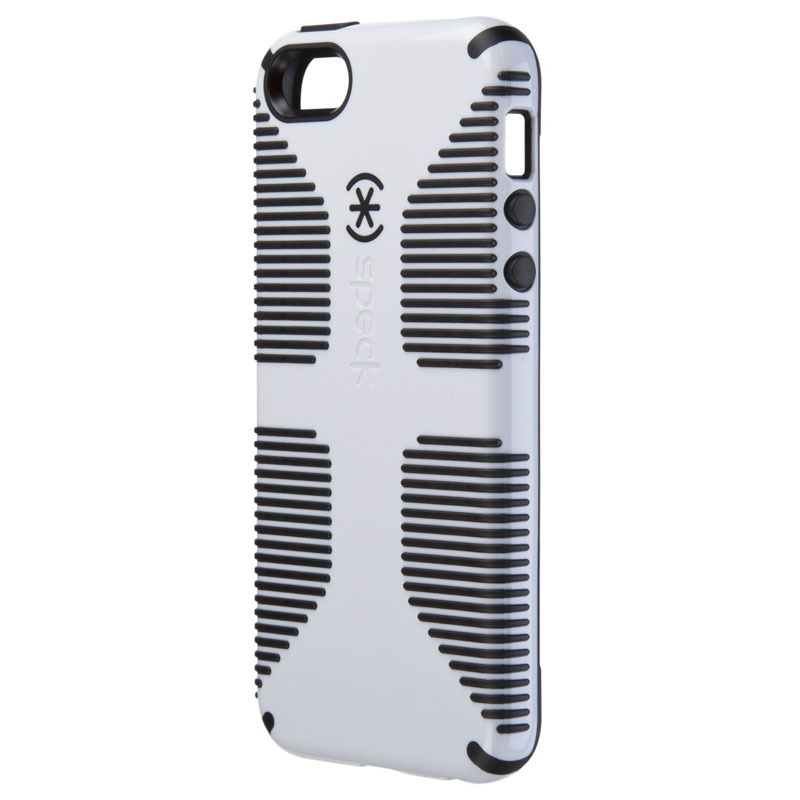 The soft rubbery interior and hard shell exterior protects your device from impact. Shaped edge bezel keeps thumb placement stable on virtual touchscreen controls, making this iPod Touch 4 case ideal for gaming. 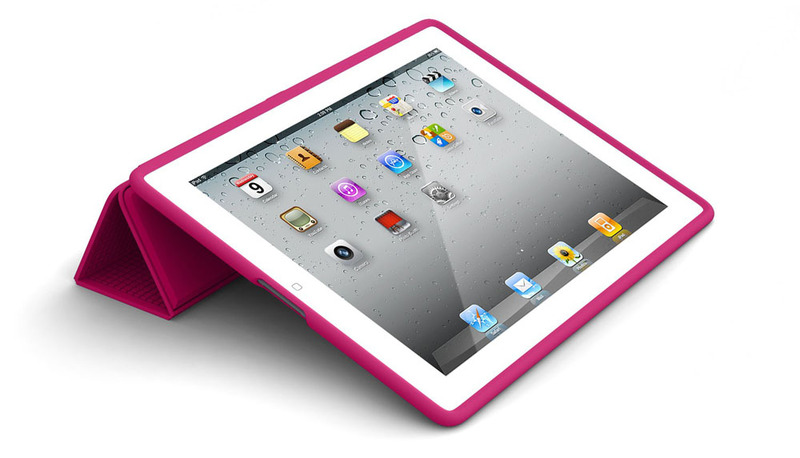 CandyShell for iPad by Speck has a thin, hard-shell coating with soft rubbery interior lining. This iPad shell case has a flip back panel that you can pull out so you can connect your iPad to the dock. 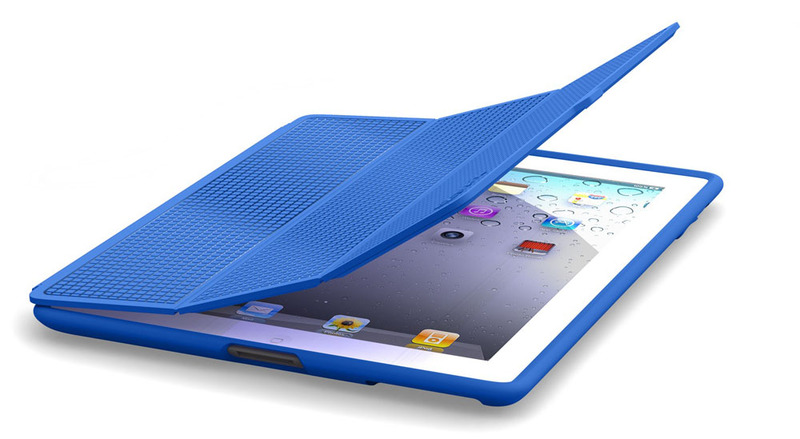 CandyShell is available in a variety of colors and is a stylish and functional iPad shell case.